Is your Toyota Yaris D4D intermittently losing all power and going into limp mode? Had a P1121 fault code read at a garage and not sure what to do next? Read on for more information. 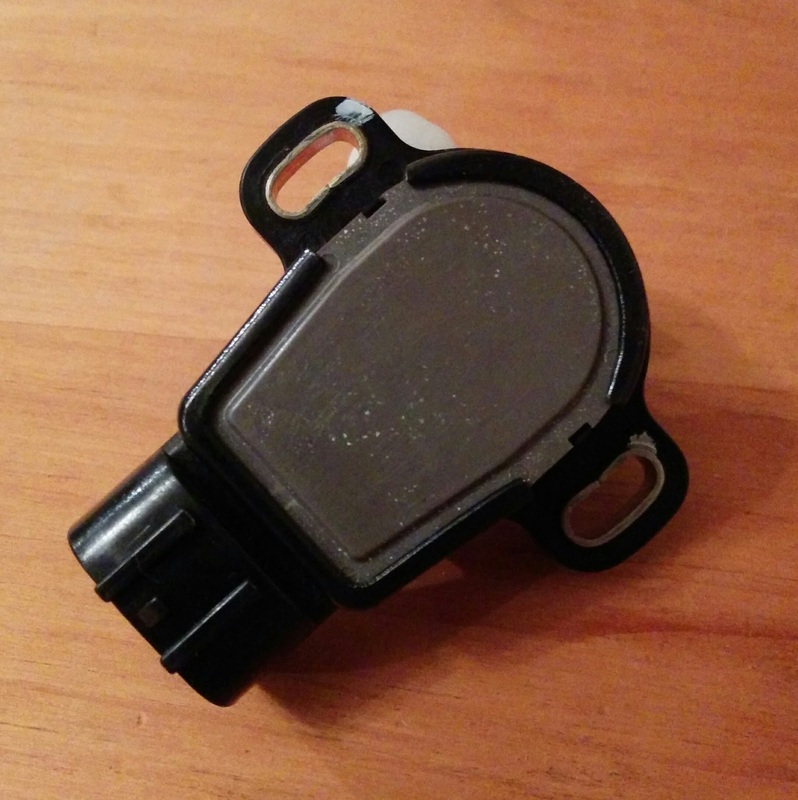 What is the accelerator pedal position sensor (APP) and what does it do? The function of the accelerator pedal position sensor is to convert the physical movement of the accelerator pedal (e.g. light throttle, full throttle) to a voltage signal which the ECU can understand and act upon to change fuelling and other parameters to alter the acceleration of the vehicle. If the ECU receives a signal from the APP sensor which is out of range then it will likely log a fault code (DTC) and put the engine into limp mode where the revs will not rise above approximately a fast idle. Our 2003 Toyota Yaris 1.4 D-4D would intermittently go into limp mode without any warning at all. For some reason it would most often happen when driving on the motorway which is potentially very dangerous as you can imagine. This would normally happen on average once every 3 - 6 months although sometimes it would happen two or three times in one week. After the car would go into limp mode, you could turn the engine off and on again and carry on as normal, often without issue for months. Once getting home, I would read the code using a Launch Creader 6 and it would always be P1121, I would clear this code and carry on driving as normal. 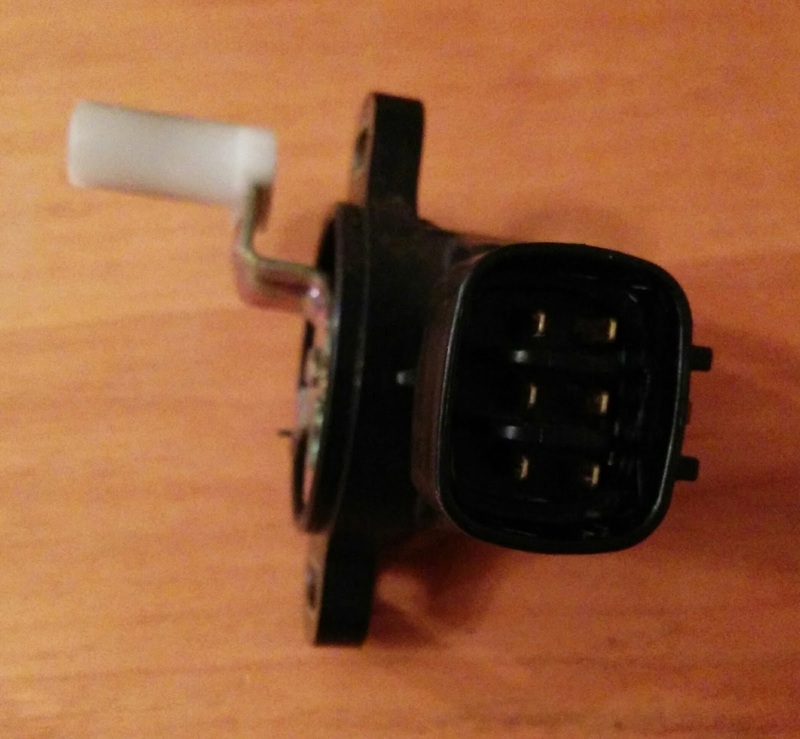 I contacted Toyota parts and was horrified to find the pedal position sensor is not sold individually and must be sold as a unit with the accelerator pedal...for £366GBPincVAT. This is absolutely outrageous for a simple potentiometer. The P1121 code is defined here as an issue with the accelerator pedal position sensor range/performance. It's important to note that this DOES NOT necessarily mean the sensor itself is faulty and after finding out the cost of a new one from Toyota I was not about to take a gamble so I contacted a local car diagnostics specialist to test the wiring and sensor. Considering the intermittent nature of the fault, I was not surprised when the specialist could not find any issues with the sensor, however he tested the continuity of the wiring from the plug back to the ECU and found no issues so I could at least rule that out as a possible cause. 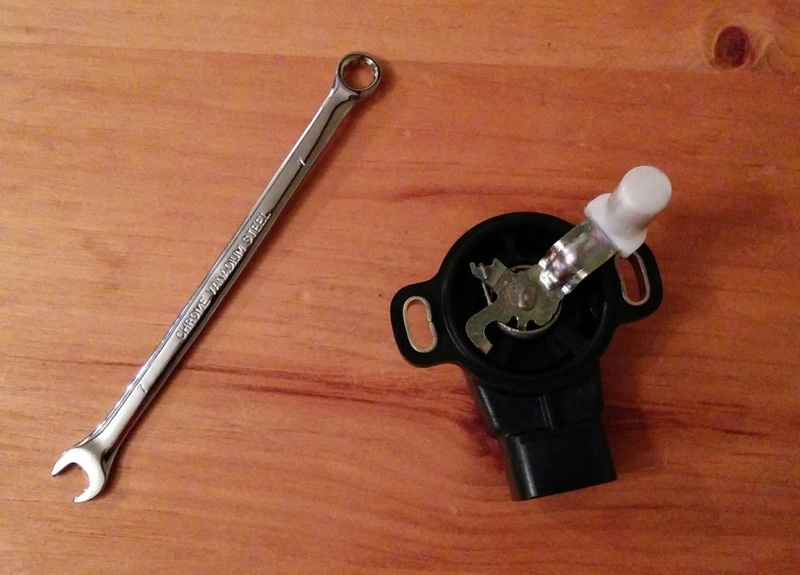 Replacing the accelerator pedal position sensor on the Toyota Yaris D4D is very simple and would take even a complete novice mechanic 15 minutes. The only tool required is a 7mm spanner, one of the bolts can be undone with a socket but the other is too close to the footwell and will likely foul unless you have a very shallow socket. 1) Unplug plug by squeezing the tab and pull. 2) Undo two 7mm bolts and remove sensor. 3) Fitting is the reverse of removal! Start up the car to check everything is ok and you're good to go. Experiencing similar issues? Please leave your comment below. Hi! 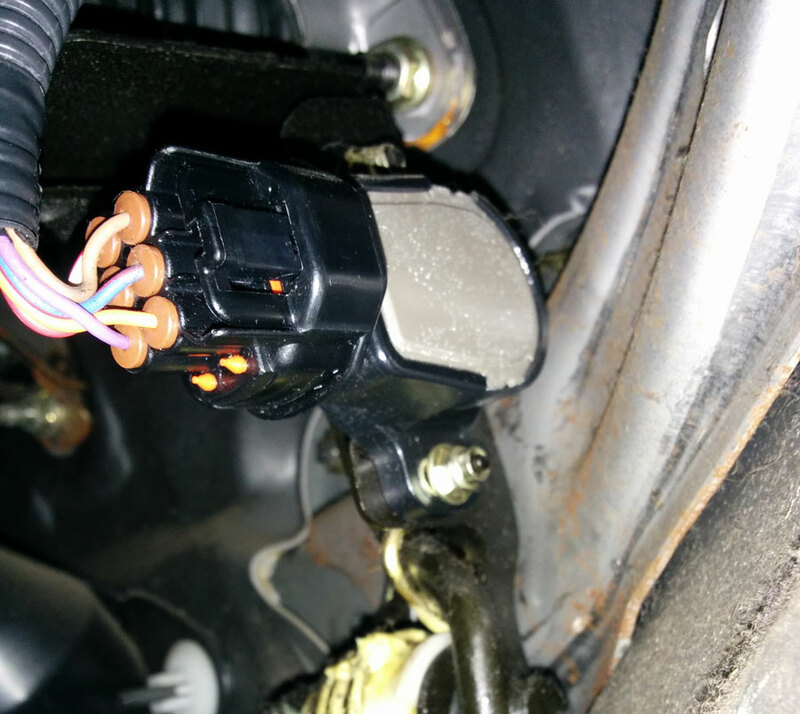 please help I bought a pedal sensor for yaris t3 2006 I fitted it but nothing happens, machenic says it needs programing but his tools not up to date.please help I'm loosing my mind. Hello, What do you mean nothing happens? I've not heard of a pedal sensor needing to be programmed before as I would have thought it's just a basic potentiometer, could be wrong though! Hi,what I meant was after changing pedal sensor it could not rev or accelerate it could only iddle. Hi Thomas, Sounds like the sensor is probably faulty and so is sending no data to the ECU. I would recommend taking it to a garage or buying an OBD testing tool. i've the same issue on a 02/2002 1.4 D DTOYOTA YARIS (NLP10L-AGMRXW). The PEDAL ASSY, ACCELERATOR = 78010-52020 = € 437.66 !!!!! Hi, Unfortunately your only option is too find a second hand sensor from either eBay or a local parts breakers. If you find one on eBay.co.uk and message the seller they should post it to France if you cover the postage costs. Both are pure resistive potentiometer. Some used parts are available on ebay and some new parts are only available on alibaba where iv'e contacted some suppliers. Tne aliexpress link states for Corolla 2.0. Will it work with Yaris 1.4? 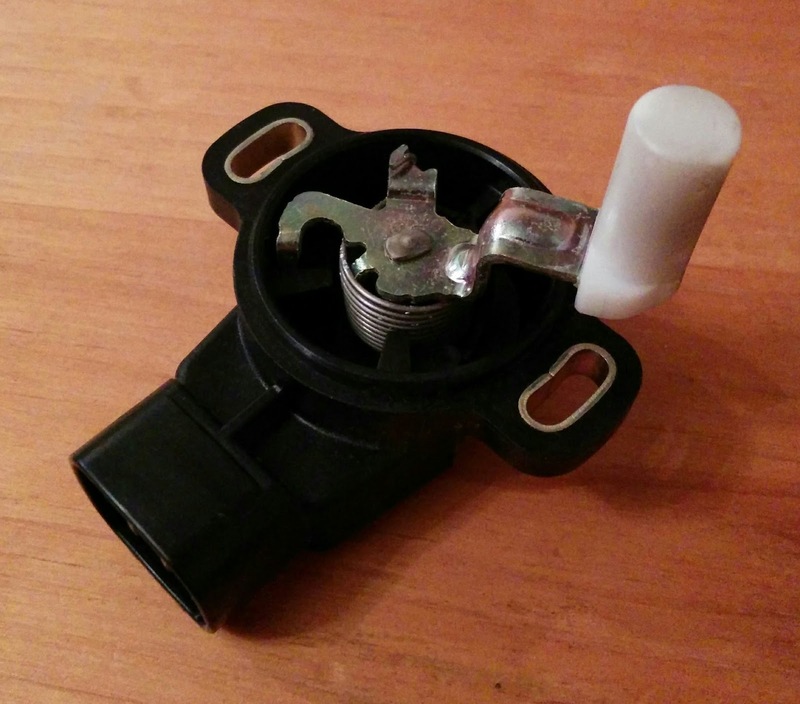 When mounting a new throttle position sensor on the pedal you have to adjust it , this is why Toyota is selling it already mounted on a new pedal !!! Do not lock the nuts too much with a wrench, the sensor enclosure should able to rotate but it should stay in the adjusted position. Connect a multimeter on pin 3 and pin 2 and select the ohmeter function. Rotate the sensor enclosure until a value of around 1000 Ohms. At this step you can lock definitively the nuts with the wrench. Connect the multimeter on pin 1 and 5 it should be around the same value divided by 2. According this information your sensor could not be defective (P1121 fault code) but only misadjusted. @dj.m : what kind of values have you on pins 2&3 with bad settings ? Because i have 1300ohms and 730 ohms on pins 1&5 so i don't know if it's in the tolerance or if it's wrong .. Sorry for my english , im french. Hi Bruno, sorry to be late. On my bad device i was not able to measure the impedance, it was completly broken. When the device is connected to the car, he receive 5v from the ECU and you should have, when the pedal is idle, 0.8v on pin5 and 1.6v on pin2 . Unfortunatly it's difficult to measure the voltages when the device is connected but you can measure the impedance of the potentiometer between pin6 and pin3. If you have a 3200ohm potentiometer (pin6 / pin3) you have to adjust the device until you measure 3200/3.125 = 1024 ohms between pin2 and pin3. My Yaris d4d suddenly start to accelerate to maximum...whats going rong ?